Once upon a year ago, I ran the Lakefront 10 Miler and was pleasantly surprised to see not one but two of my former physical therapists at the post-race party. I enjoy the company of these people and was just thrilled to see them there. It also just so happened that the Lakefront 10 Miler fell on the same weekend that I was supposed to do a 10 miler for my current half marathon training plan. Given the choice between running 10 miles on my own while dodging race participants or running 10 miles as a race participant, I’d much rather go with the second option. And that’s the story of what brought me to Montrose Harbor on Saturday morning. The weather, in typical spring fashion, has been a bit all over the place this month. There have been weeks where I’ve worn my pea coat one day and no coat two days later. This week was primarily a North Face fleece week–arguably my favorite kind of weather–and the forecast consistently said that it would be in the high 40s at race time on Saturday morning. Per usual, I laid out my race day outfit with care on Friday evening: a short sleeve shirt, arm sleeves, and 3/4 length tights, all of which I thought would be appropriate for those sorts of temperatures. Then I woke up on Saturday morning. What. The. Eff. This is not what I was told!! This is not what I planned for!! I’m not going to lie: I freaked out when I saw the current temperature. I’ve been building my mileage over the seven weeks or so, but I’ve yet to wear anything less than long sleeves and 3/4 length tights on any of my long runs. I’m not even entirely sure it’s ever hit 50 degrees on any of my long runs. The last time I ran far in those temps was…September? That was seven months ago. In no way did I feel prepared to run 10 miles in Real Feel of 57. I picked up my “packet” on race day with no problems. CARA, in an effort to go green (and/or save money), did away with the traditional packet entirely this year, which meant no junk (and also no Clif Bar samples 😦 ) and just gave out bib numbers and shirts. I don’t know if it was the weather, the fact that I haven’t had a good night of sleep in probably a week (and had a particularly bad night of sleep Friday night, courtesy of a pesky ear issue I’ve been fighting and the reopening of the Man Cave outside my window), or a combination of the two, but I felt awfully anxious heading into the run on Saturday. I fought this feeling (and it accompanying chest tightness, which is not high on my list of Ways I Like to Feel During a Run) for a good 3.5 miles of the race. But I’m getting ahead of myself. I had NO idea what kind of time I would run on Saturday–when talking with a couple coworkers also running pre-race, I threw out 1:38 as a fairly reasonable estimate–so I put myself near the back of the 9:00 minute pace area when lining up, thinking that seemed fair. Per usual, I liked the thought of PR-ing, but knew realistically that wasn’t particularly likely. Last year at this race, I was primed to blow it out of the water. It was the Saturday before Easter, meaning I hadn’t had sweets in six and a half weeks, so I (theoretically) was at my healthiest. I had done a tempo run and intervals or treadmill hills every single week since January 1. I had already run double digit miles that year, including one 10 miler in March and a kickass half marathon earlier in April. The weather, as far as I remember, must have been somewhere in the 40s or low 50s, since I know I wore my pea coat to the race, and that kind of temperature is my sweet spot for running. Everything was set up for me to do well last year. This year was a different story. Since Easter two weeks ago, I have subsisted on a diet made up primarily of jelly beans, M&Ms, and Cadbury eggs. I have done exactly two speed workouts in all of 2015 (though you could make the argument that November Project counts as speedwork, based on the interval-style workouts and the fact that we often finish with 10 minutes of very short sprints). My last double digit run was the Chicago Marathon. In fact, I’ve been post-marathon PDR-ing every single weekend since I stared this cycle in February. While I didn’t expect the run to go poorly, I certainly did not expect to crush it in any capacity. For whatever reason, the first mile of this race feels so. long. I remember this from last year, and this year it was just as demoralizing as in 2014. My watch hit a mile a bit before I hit the mile mark, so even though it said I ran an 8:54 first mile, I thought the clock at the mile marker, which read 9:30 as I passed it, sounded much more reasonable. From that point on, my watch and the mile markers matched up almost exactly, and I was like a freaking metronome: 9:29, 9:27, 9:35, 9:25, 9:31, 9:35, 9:42, 9:28 (and the last mile, which I’ll get to in a second). This has been the story of my long runs for the past month or so. Historically, I’ve been ALL over the place with my mile splits, but lately, my last mile has been maybe 10-15 seconds slower than my first mile. I don’t know what on earth I did to make this happen, but I am loving it. I feel so satisfied when I review my mile splits and see that I ran so evenly, and I felt even more satisfied seeing that in a race setting. I wanted to fuel around mile 5, but there were no aid stations until right after mile 6, so I waited to take my Shot Bloks until then. This was right before we turned around and started to head north after Fullerton and OH MY GOSH. While it had been calm at the start, the wind had picked up dramatically over the past hour, and this was rough. Not Shamrock-running-down-Franklin rough, but rough nevertheless. I had opted to wear just shorts and a short sleeve shirt for the race based on the warmer-than-expected conditions, and I was actually fairly cold for the last four miles, which rarely happens to me at the end of a run. I kept thinking the wind would die down as the Lakefront Trail moved away from the lake and we had more trees to protect us, but no such luck. I fought that wind the whole. way. back. Despite the wind, I more or less managed to keep up my pace (that 9:42 split for the eighth mile being the one exception), and when I hit the mile 9 mark, my legs were feeling surprisingly good. I was pretty tired, but my legs weren’t, so I let them have their way, and I just flew. I don’t remember the last time I felt like that — it was like the only thing hold my legs back was my cardiovascular system, which was holding on for dear life in that last mile (I now run with a heart rate monitor, and it’s interesting to review my average HR for this race. While it was almost the same for miles 3-6 [181, 182, 183, 183], it definitely jumped for the last four [187, 188, 190, 194], when I was running into the wind. And yes, my HR is always that [miles 3-6] high on long runs, I don’t know why, but I do know my max HR is no less than 207 not 196 like it “should be” for someone my age, my EKG from the doctor came back clear, leave me alone). I ended up busting out an 8:40 final mile and finished the race in 1:33:53. That’s only 2:21 slower than I ran last year when everything was perfect, and considering I went into the race hoping for a 1:38, I am quite pleased with a 1:33. Nice job on this race considering you weren’t sure how it would go! And I totally understand feeling super satisfied when I review my splits and they’re really even. Also, I think I’m going to patent my new training plan. Too bad Run Less, Run Faster is already taken. Thanks! Lately I’ve been defining a good run as any run with even splits, so it was nice to carry that through on Saturday. Congratulations on running a strong race! I am SO with you on the last-minute clothing debates, that wind, and those post-race cookies. =) My Garmin also listed Mile 1 as being long, too! It threw me off when my Mile 1 split came in with such a lengthy time. Usually I blame my Garmin for being temperamental, but maybe it was actually on to something this day. Thanks! I was actually thinking the same thing when I read your post yesterday. I really think CARA’s signage was right, but it’s so odd that our watches would both be wrong in the same way! I had the same reaction when I saw the weather for our race this weekend. It was like 70 degrees and I’ve been running in the 10s-40s for the past several months with an occasional 50-something degree day thrown in. I was not at all prepared for that heat, as sad as it sounds. Not that I’m complaining- I love warm weather, but not when I have a race and I’m not acclimated yet. Oh, and my diet being primarily sugar for the past (few) months. I should really work on eating real food again. ANYWAYS, NICE JOB on the race! You really did surprise yourself! I feel like the ones where you aren’t expecting to do well are the best (goes with my whole negative nancy attitude I guess ha). p.s. I read your email yesterday morning and went to respond but got sidetracked. So I WILL get to that at some point today/this morning. Oh gosh, if it had been in the 70s for us, I think I would’ve cried. Haha. It’s one thing to go from training in hot weather to racing in cold weather, but the other way around is NOT fun (in my experience/opinion). And I totally agree – as much as I want to be more positive, blah blah blah, having low expectations for this race really helped me enjoy it a lot more! Great job getting it done despite the weather! That wind was no joke!! Thanks! And seriously, I think that might’ve been the most persistent wind I’ve ever had to deal with in a race, or at least the longest stretch of a race that I’ve had to deal with wind. I’m seriously laughing so hard at you (in a loving way). You better hope your PT never finds your blog, ya stalked! Although we all do stuff like that so don’t worry hahaha. Ok it’s official. You need to be my CARA liaison. I want to join. Show me your ways. Hahaha I’m not too worried about it. We’re tight, so I don’t think he’d freak out. Joining CARA is super easy! 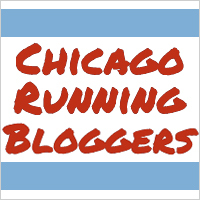 You can get a membership at any time at cararuns.org, and you’re in. Nice job on the race! I was not prepared for the wind and was cold the last 4 miles. Bummer. I LOVE, LOVE the shirt. Thanks! Isn’t the shirt great? I’m excited to wear it! I usually do not keep my race shirts but this one is definitely a keeper!